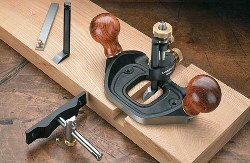 The Veritas router plane is the Stanley no. 71 reborn with radical improvements. An invaluable tool for work on stopped or through dadoes and grooves, or for any work that requires an area cut to a precise depth. Includes two cutters 1/2 inch (12.7 mm) straight, and 1/2 inch pointed (for final smoothing) and sharpening jig for 1/2 inch blade. The optional fence (made of stainless steel and aluminum) can be positioned on either side of the plane and will work on both straight and curved pieces. 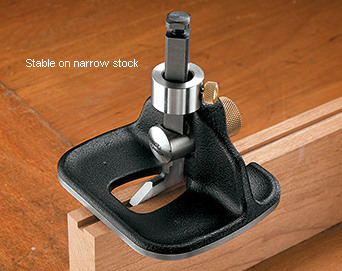 Slightly larger than the small Veritas router plane (item nr. 307867), this tool has the advantage of using the same blades as the full-size Veritas router plane (item nr. 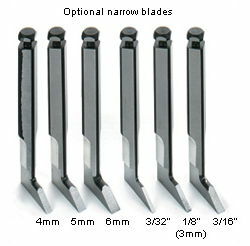 307860), letting you use the complete range of blade sizes Veritas offers (except the inlay cutter head, whcih does not fit). For general use, the blade may be positioned inboard with the sole encircling it for maximum registration on the workpiece, even when approaching from the side or working an edge. 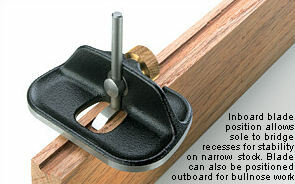 This allows it to bridge recesses, providing great stability even on narrow stock. The blade can also be used in an outboard configuration, with the blade extending past the body, for bullnose applications. 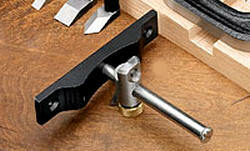 The blade-clamping knob uses a wave washer to hold the blade as it is loosened, for easy, controlled depth adjustment. 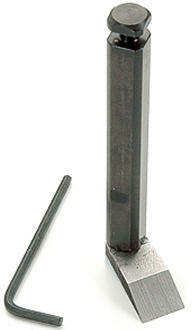 An included stainless-steel depth-stop collar locks onto the blade shaft to limit cutting depth to a preset maximum. The plane can make cuts up to 1 inch (25 mm) deep with the depth stop installed or up to 1-3/4 inch (44 mm) deep without it. The ductile cast iron body has been accurately machined and ground flat. The plane is 3-1/2 inch (89 mm) wide by 3 inch (76 mm) deep and weighs about 370 g. A versatile plane, particularly on narrow material or in confined areas. Sold with a 1/4 inch (6.35 mm) wide blade. 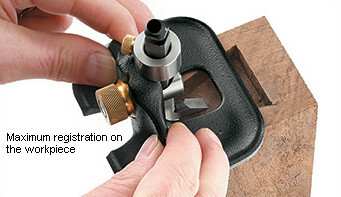 These high-carbon steel router plane blades fit the Veritas Router Planes, as well as Stanley no. 71 router planes (with the height-adjustment nut inverted). 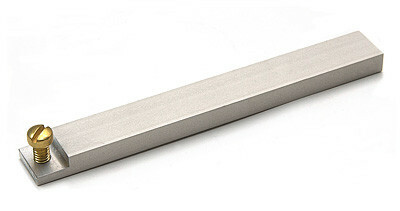 straight 1/4 inch (6.35 mm) Currently not in stock! straight 3/4 inch (19.05 mm) Currently not in stock! 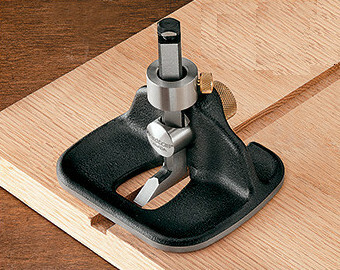 Note: already included in Router plane nr. 307860. 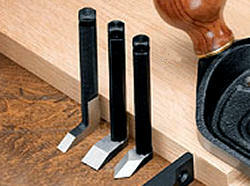 These high-carbon steel router plane blades fit the Veritas Router Plane, as well as Stanley no. 71 router planes (with the height-adjustment nut inverted). 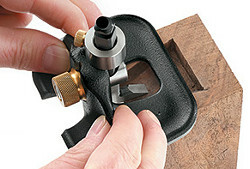 Looking for VERITAS Miniature Router Plane?